A California data firm has crunched the numbers to find out which states and counties have the longest commutes in the United States. 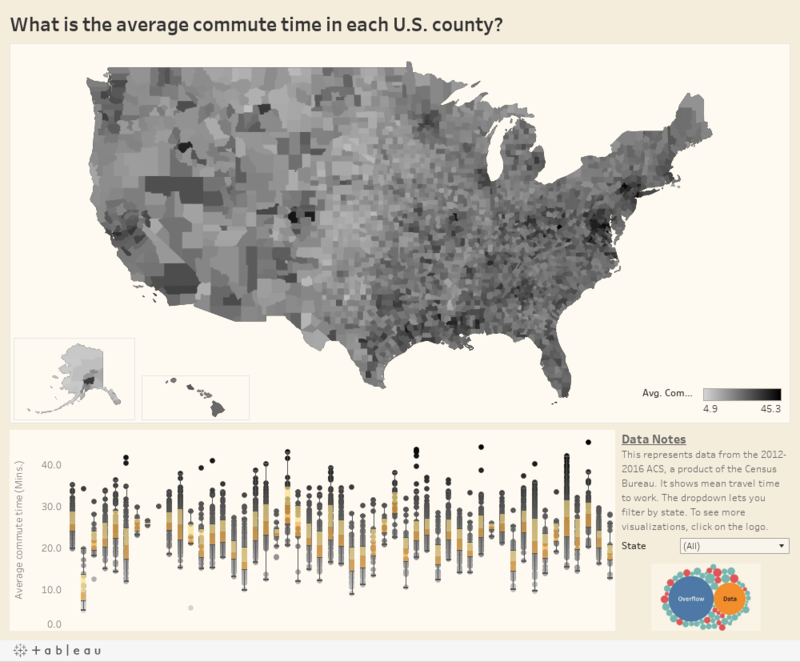 The data scientists at Overflow Solutions have analyzed 2012-2016 Census Bureau survey data to produce this interactive map, where the darker the area, the longer the commute. Use the drop-down menu to select your state, or hover over any county to see its average commute time. Most of the heavy hitters come as no surprise. Seattle, the Bay Area, Denver, Houston, New York, and Boston all average commutes of 30 minutes or longer. An odd outlier is Mississippi, where a whopping 18 counties have 30-minute-plus commutes, with some daily commutes as long as 40 minutes. There is no escape from traffic in Hawaii, either. The fastest commute is in Maui, averaging 21 minutes. Does your county beat your state?s average commute time? Have a look at the map to find out. This post was originally published on February 9, 2018.